One thing I had forgotten is that it starts with a steep slope up to where Place used to be. Not the nicest, especially given that the first km or two of any of my runs is very much "urgh I hate running why I am doing this I might just stop and give up". So that went well - but I plodded on and eventually things improved. The first of the new-ish sculptures you reach is "Yasasin". I'm not really sure how to describe it. 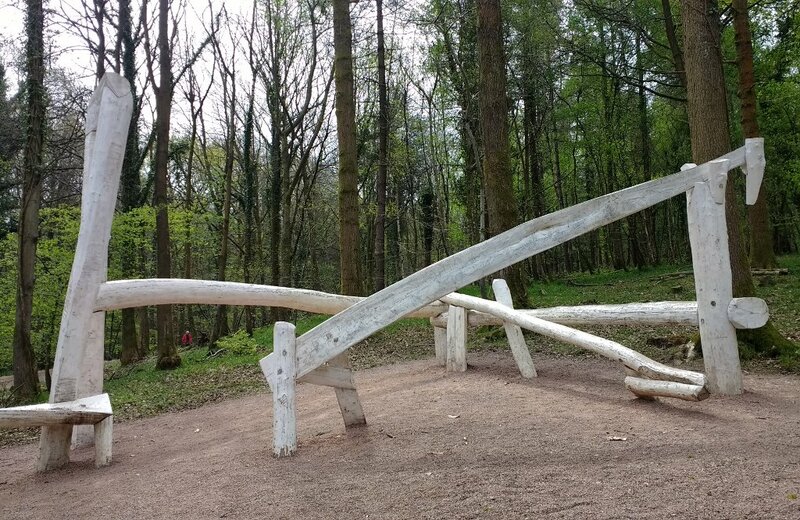 An abstract arrangement of white wood? A weird climbing frame? The other new installation made a lot more sense to me. Called "Coal Measure Giants", it's inspired by the mining history of the area. If I'd had more energy I might have thought about sprinting the 300m between the two parts of it, but nope. Did I mention how I'd forgotten what hills are like to run up? 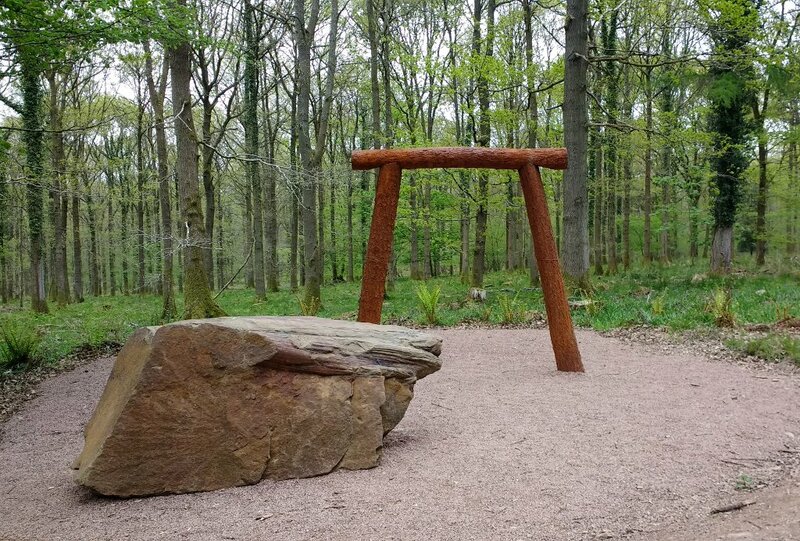 The sculpture trail itself comes in at about 8.5km. I then did a couple of laps of Beechenhurst car park to bring the distance up to 10km, and also to try and improve my average pace. Moving time: 1:05. Total time: 1:10. Feeling fairly confident about my race now. Maybe it won't be sub-1hr, but it should be somewhere close. Fingers crossed.